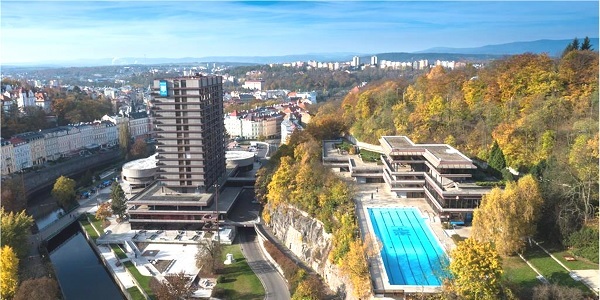 SPA HOTEL THERMAL**** is located in the heart of the city of Karlovy Vary, close to spa colonnades and the area´s natural hot healing springs. The hotel offers accommodation in 273 comfortable rooms – single rooms, double rooms (twin bedded or with king size bed) and suites. 3 double rooms are handicap friendly. Karlovy Vary or Carlsbad (Czech pronunciation: [ˈkarlovɪ ˈvarɪ]; German: Karlsbad) is a spa town situated in western Bohemia, Czech Republic, on the confluence of the rivers Ohře and Teplá, approximately 130 km (81 mi) west of Prague (Praha). It is named after Charles IV, Holy Roman Emperor and King of Bohemia, who founded the city in 1370. It is historically famous for its hot springs (13 main springs, about 300 smaller springs, and the warm-water Teplá River). 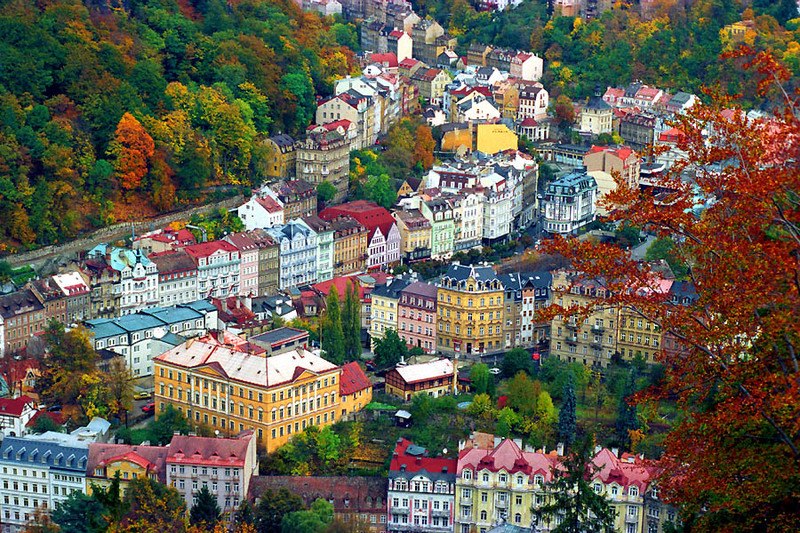 It is the most visited spa town in the Czech Republic.